In an email to employees, Google chief executive Sundar Pichai said it was clear that the company needed to make changes to protect its workers. In an email to employees, Google chief executive Sundar Pichai said it was clear that the company needed to make changes to protect its workers. The email outlines a swath of changes, many of which meet the demands from organizers of last week's walkouts. "Going forward, we will provide more transparency into how you raise concerns and how we handle them," Pichai wrote in the email. "We will provide better care and support to people who raise concerns. And we will double down on our commitment to be a representative, equitable and respectful workplace. The reckoning wrought by #MeToo has left Silicon Valley exposed, revealing patterns of abuse and inequality beneath a veneer of progress. Now, Google, one of the world's most powerful and visible companies, could become a model for how to fix what's broken in tech culture - if it delivers on its promises. "We have the eyes of many companies looking at us," said Tanuja Gupta, one of the walkout's organizers in New York last week. "We've always been a vanguard company, so if we don't lead the way, nobody else will." When workers at 50 Google offices worldwide walked off the job last Thursday, they said they were protesting a "culture of complicity, dismissiveness, and support for perpetrators." The New York Times reported last month that Google had suppressed allegations of sexual misconduct against several of its executives, and had reportedly paid one executive $90 million when he left the company after a sexual misconduct investigation deemed allegations against him were credible. "All employees and contract workers across the company deserve to be safe," they wrote in an essay published on the Cut last week. "Sadly, the executive team has demonstrated through their lack of meaningful action that our safety is not a priority." 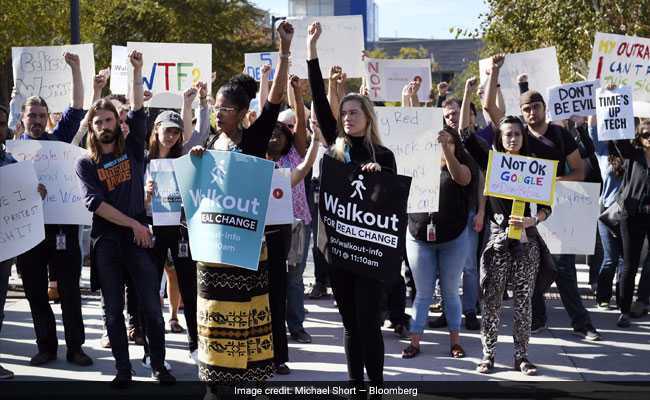 The walkouts had five stated goals, including stopping forced arbitration in cases of harassment and discrimination, equity in pay and opportunities, a "publicly disclosed sexual harassment transparency report" and improved processes for reporting sexual misconduct. By and large, the new policies are a direct response to these demands. According to the email, arbitration in harassment or assault claims will now be optional, and the company will track and make public information about reported incidents of misconduct and how they are dealt with. The company also promises to revamp its reporting process "to ensure claims are handled with empathy and care, and that individuals bringing forward concerns are heard." The email also outlines other changes to improve company culture, like mandatory annual training about sexual harassment (previous training was once every two years) and creating a "specialty team of advisors" to look into issues of harassment or discrimination. It also says Google leaders will take steps to discourage excessive alcohol use at company events, because of the prevalence of alcohol in incidents of sexual misconduct. "We recognize that we have not always gotten everything right in the past and we are sincerely sorry for that," Pichai wrote in the email. "This is an area where we need to continually make progress and are committed to doing so." "Collective action works," Whittaker tweeted. "It will continue working."